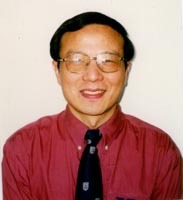 Dr. Shi-Jiang Li graduated from the Department of Electronic Engineering from Tsinghua University, Beijing, China, in 1970; completed his master’s program training at the Institute of Biophysics, Chinese Academy of Sciences, in 1980; and received his PhD in biochemistry from the Ohio State University in 1985. He completed his postdoctoral fellowship training at the Johns Hopkins University, School of Medicine, in 1988. He joined the faculty of the Medical College of Wisconsin in 1988. He is currently Professor of Biophysics, Radiology, and Psychiatry and Behavioral Medicine. He published the first article to evaluate a resting-state fMRI index as a potential biomarker for Alzheimer’s disease (Li et al., Radiology 225, 253-259, 2002). From 2009 to 2016, he served as the Director of the Center for Imaging Research at the Medical College of Wisconsin. Since 1990, he has been continuously funded by the NIH and private foundation grants. He is a mentor and sponsor or co-sponsor of 21 current and former NIH career development awards trainees, postdoctoral fellows, and PhD students. In collaboration with his colleagues, his research focuses on the development of cutting-edge MRI technologies to study Alzheimer’s disease, drugs abuse, and human consciousness and translate the findings to clinical applications. He has published more than 110 articles, books, and chapters. Alzheimer’s disease (AD) is a complex, multifactorial disease. It has been difficult to develop a biomarker to closely link preclinical AD status with continuous disease development to accurately predict progressive AD trajectories, given the condition that the insidious disease onset often takes decades. Built on the advancement of the event-based probabilistic model in AD research (Young et al., Brain 137, 2564-2577, 2014), we integrated the 10 available AD biomarkers to calibrate the temporal sequence of events that occur during the AD developmental continuum. Our findings in the article “Staging Alzheimer's Disease Risk by Sequencing Brain Function and Structure, Cerebrospinal Fluid, and Cognition Biomarkers” (Chen et al., J Alzheimers Dis 54, 983-993, 2016) demonstrated that the abnormal functional connectivity events in the hippocampus network and the default mode network are the “upstream” factors that occur before the abnormal Aβ and p-tau level events occur in the cerebrospinal fluid, supporting the network dysfunction hypothesis of AD. Using the 10 sequential numeric scores, we created an index—termed the characterizing Alzheimer’s disease risk events, or “CARE,” index—to characterize risks associated with AD stages and quantify disease severity on an individual subject basis. The CARE index constructed the main framework for biology-based AD stages and demonstrated that clinically diagnosed mild cognitive impairment subjects are biologically heterogeneous and are distributed across the AD continuum. We believe the CARE index will have wide clinical applications. If the temporal course of disease progression is consistent with biomarker-defined events in individuals, we will have a crucial window of opportunity to intervene with disease-modifying therapy. The CARE index will facilitate clinical trials by selecting the right segmentation of patient populations based on their disease stages to enrich the response rate and statistical power; it can also be used to monitor and evaluate treatment efficacy through changes in stage status in individual subjects. 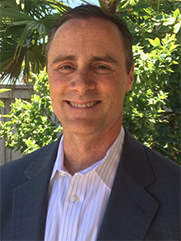 Dr. Mark W. Bondi received his PhD in clinical psychology and neuropsychology from the University of Arizona in 1991. He completed his internship and fellowship training at UC San Diego and joined the faculty in 1994. He is currently Professor of Psychiatry at UC San Diego and Director of the Neuropsychological Assessment Unit at the VA San Diego Healthcare System. He has served on several elected boards of the American Psychological Association, the Board of Directors of the American Board of Clinical Neuropsychology, and Board of Governors of the International Neuropsychological Society. He is a Fellow of the American Psychological Association and National Academy of Neuropsychology, and he is President-Elect of the Society for Clinical Neuropsychology (Division 40 of APA). 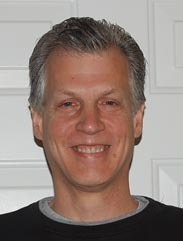 Since 1991 he has received continuous funding from NIH, VA, and private foundation grants; he is the recipient of a Mid-Career Investigator Award in Patient-Oriented Research from NIA; and he is sponsor or co-sponsor of 11 NIH and VA career development awards of his current and former trainees. His research centers on the cognitive and brain changes of individuals at risk for dementia, and he has published more than 165 articles, books, and chapters. 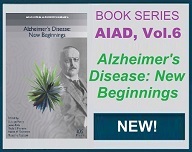 The NIA-AA criteria for “preclinical” Alzheimer’s disease (Sperling et al., Alzheimers Dement 7, 280-292, 2011) propose a staging method in which AD biomarkers follow an invariant temporal sequence in accordance with the amyloid cascade model: Stage 1 refers to amyloid accumulation only; Stage 2 refers to amyloidosis plus neurodegeneration; and Stage 3 requires both plus evidence of subtle cognitive decline. However, our study findings (Edmonds et al., J Alzheimers Dis 47, 231-242, 2015) did not conform to this sequence. We found that, among participants in the Alzheimer’s Disease Neuroimaging Initiative, neurodegeneration alone was 2.5 times more common than amyloidosis alone at baseline. For participants who demonstrated only one abnormal biomarker at baseline and later progressed, neurodegeneration was most common. Amyloidosis only or subtle cognitive decline only were less common—and equally common. Thus, the majority did not show amyloid positivity as the first sign of their eventual progression to MCI or AD diagnosis, suggesting that most individuals do not follow the temporal order proposed by NIA-AA criteria. 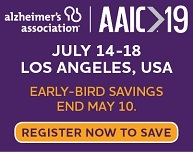 In this article we also provide an operational definition of subtle cognitive decline that follows from our prior work on defining MCI via actuarial neuropsychological criteria (Bondi et al., J Alzheimers Dis 42, 275-289, 2014), and we offer a new approach to staging preclinical AD based on number of abnormal markers without regard to their temporal order. This method of characterizing preclinical AD is more parsimonious than the NIA-AA staging system and does not presume that all patients follow a singular invariant expression of the disease in accordance with the amyloid cascade model. Dr. Hartmuth Kolb received his PhD in Organic Chemistry in 1991 at Imperial College of Science, Technology and Medicine, London, UK. Following postdoctoral work with K. Barry Sharpless (2001 Chemistry Nobel Laureate), he joined Ciba-Geigy in 1993. In 1997, Dr. Kolb became the Head of Chemistry at Coelacanth Corporation. In this role, he and Dr. Sharpless developed the Click Chemistry approach to drug discovery. In 2002, he joined The Scripps Research Institute as an Associate Professor, focusing on in situ Click Chemistry. From 2004 to 2013, he was the head of the Siemens Biomarker Research group, where he and his team developed novel oncology and neurodegenerative disease PET tracers, key highlights being the PHF-Tau tracer, [18F]-T807 and [18F]-T808. Dr. Kolb joined Johnson & Johnson in January 2014 as the Head of Neuroscience Biomarkers. He is an author on over 75 peer-reviewed publications and review articles. Hyperphosphorylated tau protein is the main component of NFTs and neuropil threads, which are pathological hallmarks of AD and other neurodegenerative diseases. NFT spread increases with disease progression and the density correlates with dementia severity. Up until recently, most human studies related to NFTs were performed with postmortem tissue. Kolb and co-investigators have developed positron emission tomography (PET) imaging tracers [18F]-T807 and [18F]-T808, which show promise for the in vivo evaluation of NFT pathology. The clinical study (J Alzheimers Dis 38, 171-184, 2014) showed that healthy subjects displayed little tracer retention in the cortical gray matter, while two AD subjects showed a distinct pattern of radiotracer retention, consistent with the expected NFT deposit pattern described by Braak et al. Interestingly, one subject with severe AD had a higher [18F]-T808 retention in the occipital lobe than all the other subjects. Clinically, this subject had vision loss without eye structural abnormalities, suggesting a central nervous system process. Thus, tau PET imaging holds great promise for the in vivo determination of the severity of the disease and for monitoring disease progression. Bob Olsson, PhD, received his degree in Endocrinology from the University of Gothenburg, Sweden in 2001. 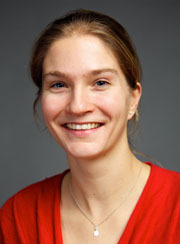 After a 16-month postdoctoral fellowship in Obesity and Diabetes research and a second one in Hematology research for 21 months, both at the University of Gothenburg, Dr. Olsson got a four year Junior Research position from the Swedish Research council followed by a Senior Research position from the University of Gothenburg. 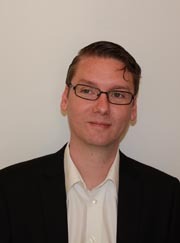 He is now tenured as an Assistant Professor and works with cerebrospinal fluid markers for neurodegenerative and autoimmune diseases together with Professors Kaj Blennow and Henrik Zetterberg in the Department of Neurochemistry at the University of Gothenburg. Microglia has been implicated in Alzheimer’s disease (AD) and in the paper “Microglial markers are elevated in the prodromal phase of Alzheimer's disease and vascular dementia” (J Alzheimers Dis 33, 45-53, 2013). Olsson et al. show that the microglial marker YKL-40 is increased in cerebrospinal fluid (CSF) from AD compared with healthy controls. Both YKL-40 and a second microglial marker called sCD14 were elevated in CSF from mild cognitive impairment (MCI) patients that progressed to vascular dementia. In addition, YKL-40 was elevated in CSF from MCI patients with a CSF profile indicative of AD, i.e., elevated levels of T-tau and decreased levels of Aβ42 compared with stable MCI patients with a normal profile. Thus, microglial activation is an early event in both AD and vascular dementia. Furthermore, both microglial markers were extremely stable in patients over 6-month period indicating that they can successfully be used in clinical trials aimed at lowering microglial activation. Ineke van Rossum studied Medicine at the University of Amsterdam in the Netherlands. After obtaining her medical degree, she worked as a resident at the Neurology department of Medical Center Alkmaar. From March 2009 until April 2013, she worked as a PhD student at the Alzheimer Center of the VU University Medical Center in Amsterdam. Under supervision of Dr. Pieter Jelle Visser and Prof. dr. Philip Scheltens, she studied the use of cerebrospinal fluid and MRI biomarkers for the diagnosis and prognosis of Alzheimer’s disease in subjects with mild cognitive impairment. In April 2013 she started her specialist registrar training at the Neurology Department of the VU University Medical Center. Now that it is possible to diagnose Alzheimer’s disease (AD) in subjects with mild cognitive impairment (MCI) using biomarkers, it is increasingly important to identify prognostic markers, especially for the rate of progression to dementia. The findings described in the paper "Injury markers but not amyloid markers are associated with rapid decline from mild cognitive impairment to Alzheimer’s disease type dementia" (J Alzheimers Dis 29, 319-327, 2012) implicate a different role for biomarkers in the diagnosis and prognosis of subjects with mild cognitive impairment due to Alzheimer’s disease (AD). The main finding of the study was that in MCI subjects who all progressed to AD-type dementia, injury markers, t-tau and p-tau in cerebrospinal fluid (CSF), and hippocampal atrophy, but not CSF Aβ1-42, predicted rapid cognitive decline. In the total sample of MCI subjects, both amyloid and injury markers were associated with progression to AD-type dementia. These findings suggest that the diagnostic work-up of subjects with MCI may have a two-step approach. First, amyloid markers can be used to define whether prodromal AD is present. Second, injury markers could be used to determine prognosis. These results may also be relevant for trial design, as injury markers may help to select MCI subjects with more rapid cognitive decline, thereby reducing sample size and trial costs. Anders Lönneborg, PhD, received his degree in molecular plant physiology from the University of Umeå, Sweden in 1986. 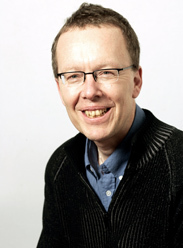 After a postdoctoral fellowship in molecular plant biology at Michigan State University under the mentorship of Professor Chris Somerville, and working as a Research Scientist at the Norwegian University of Life Sciences and later as a Senior Scientist at the Norwegian Forest Research Institute, Dr. Lönneborg was acknowledged competence as professor in 1995. 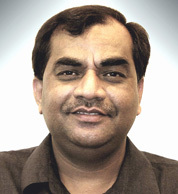 In 1998 he founded, together with Dr. Praveen Sharma, the company DiaGenic. From the start, Dr. Lönneborg has been the Research Director of DiaGenic and between 2003 and 2007 served as the company’s CEO. The focus of DiaGenic has always been to develop blood tests based on gene expression to aid the diagnosis of important diseases, primarily neurodegenerative diseases like Alzheimer’s and Parkinson’s diseases. The company is now also aiming to develop companion diagnostics and biomarkers to aid the development of novel treatments for Alzheimer’s disease. The team behind the paper “A Novel Blood Test for the Early Detection of Alzheimer’s Disease" (J Alzheimers Dis 23, 121-129, 2011), including Dr. Lönneborg, investigated the diagnostic value of a 96-gene expression array for detection of early AD. A disease classification algorithm was developed and was validated in two steps using an independent initial test set and another second test set. A similar accuracy (72%), sensitivity (72%) and specificity (71%) were achieved both in the initial analysis and in the two independent test sets. When compared with available CSF biomarker data high agreement (80%) was found. Although further studies are needed to confirm these findings they suggest that the gene expression test using a convenient blood sample can aid the diagnosis of mild to moderate AD. Mark A. Smith received his Ph.D. in 1990 from Nottingham University. In 1992, he joined the laboratory of George Perry at Case Western Reserve University, where he provided the first solid foundation to establish the role of oxidative stress in Alzheimer disease. His body of work on this topic and his dedication as a teacher and willingness to serve the university in many capacities earned him the title Professor in 2002. 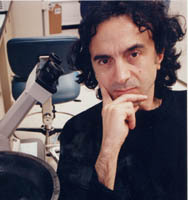 His work on cell cycle re-entry, free radical involvement and mitochondrial disruption led to numerous honors such as the Jordi-Folch award from the American Neurochemistry Society, Hermann-Esterbauer Award from the HNE Society, the Outstanding Investigator Award from the American Society for Investigative Pathology, Denham Harman Research Award from the American Aging Association, and the Goudie Lecture and Medal from the Pathological Society of Great Britain and Ireland. Together with his first Ph.D. student Xiongwei Zhu, he developed the two-hit hypothesis of Alzheimer disease and is perhaps most known in the field for arguing against the amyloid hypothesis. 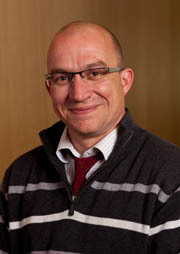 Even more, he is known as being an exceptionally generous mentor and colleague (http://neurotree.org/neurotree/peopleinfo.php?pid=9563). Sadly, his life was cut tragically short in December 2010, however his work continues on, and his memory will never be forgotten by those whose lives he touched. Please visit http://www.j-alz.com/marksmith.html for more details of his life and comments from those whose lives' he touched. 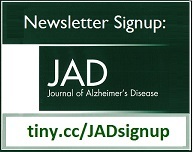 Dr. Smith’s paper, “Increased Iron and Free Radical Generation in Preclinical Alzheimer Disease and Mild Cognitive Impairment” (J Alzheimers Dis 19, 363-372, 2010), documents how the accumulation of redox active iron is correlated with the earliest stages of cognitive impairment. While increased iron and iron related compounds have been long associated with the pathological structures amyloid plaques and neurofibrillary tangles found in advanced Alzheimer disease, the finding of increased iron in the brains of preclinical patients suggests a great role for this potent source of free radicals in early disease development. Importantly, redox active iron was not only found to be a feature of the cortical regions, but the iron dyshomeostasis was mirrored in the cerebellum. More often than not, the cerebellum is regarded as an “unaffected” brain region, however, this study clearly finds that free radical attack is a global brain event. From this work, treatment avenues, imaging techniques, and concepts of disease progression and brain region involvement will be revolutionized. Rudy J. Castellani, Jr., MD, received his medical degree from Wayne State University in 1990, after which he trained in anatomic pathology at Wayne State University’s Detroit Medical Center, followed by a neuropathology fellowship at Case Western Reserve University and University Hospitals of Cleveland, under the mentorship of Drs. Pierluigi Gambetti, MD, Mark Cohen, MD, and Uros Roessmann, MD. 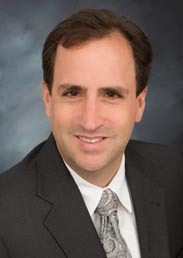 Since completing his neuropathology training, Dr. Castellani has held faculty positions at Case Western Reserve University, Michigan State University, and, most recently, the University of Maryland School of Medicine, where he is presently Professor of Pathology, Director of Neuropathology, Directory of Autopsy Services, and Director of the Pathology Graduate Program. Dr. Castellani is also the current President of the Maryland Society of Pathologists. Throughout his career Dr. Castellani has studied the pathology and pathogenesis of neurodegenerative disease, most notably human prion diseases and Alzheimer’s disease. His work in research years has focused on the role of Alzheimer’s disease pathological lesions, proteins and cascades comprising those lesions, upstream events including heavy metal toxicity and oxidative stress, and their relevance in clinical disease. Dr. Castellani’s paper, “Reexamining Alzheimer’s Disease: Evidence for a Protective Role for Amyloid-β Protein Precursor and Amyloid-β,” (J Alzheimers Dis 18, 447-452, 2009) is a synthesis of pathogenic hypotheses and their relationship with presumed causative lesions (e.g., amyloid-β) and molecules (amyloid-β, amyloid-β protein precursor). His assessment of the state of knowledge is a somewhat cynical and stinging rebuke (necessarily so in his view) of the major school of thought in Alzheimer’s disease pathogenesis, which he describes as reductionist and fundamentally backward. He bases this interpretation on the pathology, and the relationship between pathology and disease that clearly indicates plaques, amyloid-β protein precursor processing, and amyloid-β metabolism, as effect, or “host response,” rather than cause. He goes on to provide evidence for the beneficial and protective effects of amyloid formation across species, and its role as antioxidant, metal chelator, and oligomer detoxifier. Perhaps the most important contribution of this article overall is the previously unemphasized point that the pathology of chronic diseases in general, and Alzheimer’s disease in particular, tends to distract from upstream processes, and instead encourages the characterization and continued pursuit of small molecule cascades that are, at best, epiphenomenal. 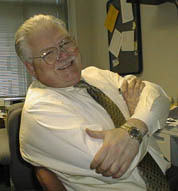 John Cogswell, Ph.D., a former researcher at GlaxoSmithKline Inc., Research Triangle Park, NC received his initial training from Duke University, Durham, North Carolina followed by postdoctoral fellowships in cellular and molecular immunology at the University of California, Los Angeles and University of North Carolina, Chapel Hill. 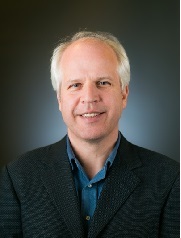 In 16 years at GSK, John and colleagues developed high content qRT-PCR and histology applications that identified tractable targets from the human genome sequencing project and transcriptional biomarkers that decreased attrition in drug discovery. The work published in the paper “Identification of miRNA changes in Alzheimer’s disease brain and CSF yields putative biomarkers and insights into disease pathways“ (J Alzheimers Dis 14: 27-41, 2008) examines changes in microRNA expression and their role in the sporadic form of the disease. MicroRNAs are small regulatory RNAs that affect many basic cellular and biological processes. They are best known for regulating RNA and protein expression in pathways and networks due to the combinatorial binding potential between microRNAs and their targets. Using a sensitive and specific qRT-PCR technology this paper demonstrates altered expression of specific microRNAs in the brain of Alzheimer’s disease (AD) subjects. The changes were both dependent and independent of the pathological changes with some detected quite early in the disease. Many of the microRNAs have functional roles in known AD pathways including neuronal differentiation, glutamate, and innate immunity although the potential combinatorial effects on insulin signaling were noteworthy. Because of the need for diagnostic biomarkers of disease progression this paper additionally examines the microRNAs in the cerebrospinal fluid of late stage AD patients. Again AD-specific changes were detected although here microRNAs with known and potential combinatorial effects on T lymphocyte signaling and inflammation pathways were identified. Because the CSF contains memory T cells and antigen presenting cells involved in immune-surveillance of the brain, these data suggested that microRNA responses in CSF cells might be sentinels of the disease. More work is required to validate whether these changes are specific to AD, can be used to follow the course of AD or overlap with other neurodegenerative diseases involving inflammation. However, the data highlight the potential of microRNAs to further understand sporadic Alzheimer’s disease and provide accessible biomarkers to aid clinical diagnosis. Milan Fiala, M.D., a Research Professor of Orthopaedic Surgery at UCLA, Los Angeles, California, received his initial training at the University of Charles IV, Prague, Czechoslovakia and his M.D. degree at the University of Geneva, Switzerland. He obtained a M.Sc. (Epidemiology) from Harvard School of Public Health and pursued translational research in respiratory, herpes and retroviruses viruses at the University of Washington, the University of Pennsylvania and UCLA, where his work played key role in controlling infections of immunocompromised patients. In the last decade he has developed a modification of the amyloid-beta hypothesis suggesting that the underlying problem of patients with Alzheimer's disease lies in the defectiveness of the innate immune system to clear amyloid-beta in the brain. Dr. Fiala’s laboratory is situated in Orthopaedic Hospital Research Center and includes key UCLA collaborators, John Adams, M.D., Martin Hewison, Ph.D., Philip T. Liu, Ph.D., Araceli Espinosa-Jeffrey, Ph.D., Mark J. Rosenthal, M.D., John M. Ringman, M.D., and research staff including many gifted students. Outside collaborators include John Cashman, Ph.D., HBRI, San Diego; Naoyuki Taniguchi, Osaka University; and Albert S. Lossinsky, New Jersey Neuroscience Institute, Edison, New Jersey. The work presented in the paper, "Phagocytosis of amyloid-beta and inflammation: two faces of innate immunity in Alzheimer’s disease" (J Alzheimers Dis 11: 1-7, 2007), is a review and a new concept of Alzheimer's disease. 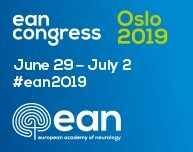 The solid data behind the new concept were previously published and showed: a) infiltration of Alzheimer's disease brain by macrophages (Eur J Clin Invest 32:360, 2002); b) irregular clearance of amyloid-beta in plaques (J Alzheimers Dis 7:221-232, 2005); c) enhanced clearance of amyloid-beta by treatment of immune cells with curcuminoids (J Alzheimers Dis 10: 1-7, 2006); and d) defective transcription of genes important for phagocytosis by macrophages of patients (Proc Natl Acad Sci USA 104: 12849-12854, 2007). The basic concept is that physiological balance between phagocytosis and degradation of amyloid-beta and inflammation maintain the pristine condition of neurons. However, in patients with Alzheimer's disease, phagocytosis, degradation of amyloid-beta, and clearance of neurons decrease and inflammation increases due to transcriptional imbalance. In fact, in vitro in brain sections normal macrophages search for neurons (due to a chemokine in neurons), infiltrate and clear neurons of oligomeric and soluble amyloid-beta, whereas macrophages of patients are defective in these functions. However, natural substances, such as curcuminoids, may restore this balance by increasing the transcription of key genes, including Toll-like receptors. Ongoing work based on these concepts will further expand these ideas to develop a blood test for early detection of immune deficiency leading to Alzheimer's disease. It is hoped that these discoveries will lead to all-inclusive approach to Alzheimer's disease: detection at an early stage and prevention by curcuminoids and other substances, which are likely to be effective before neuronal demise occurs. Jing Zhang, M.D., Ph.D., is an Associate Professor of Pathology and Ophthalmology at the University of Washington School of Medicine in Seattle, Washington. He received his initial undergraduate and medical training in Shanghai, China. After graduating from a Ph.D. program in Cell Biology at Duke University in 1995, he finished his medical residency and fellowship in Anatomic Pathology and Neuropathology, respectively, at Vanderbilt University in 2001. While his research focus was centered on brain ischemia in his Ph.D. program, as a neuropathology fellow, Dr. Zhang turned his attention to neurodegenerative disorders, particularly Parkinson’s disease. Since that time, Dr. Zhang has begun applying a novel technology – proteomics – to neurodegenerative research. Proteomics was developed to study protein expression, structure, and function, typically in a nonbiased and robust fashion. The current intense interest in proteomics is largely driven by two forces: (i) the human genome and the genomes of other organisms have been fully sequenced, making their proteomes accessible; and (ii), proteins, not gene transcripts, are the functional endpoints of gene expression, and it is well established that there is often a poor correlation between the level of mRNA and the level of translated proteins. Armed with this state-of-the-art technology, Dr. Zhang and his colleagues have been actively searching for unique proteins involved in Alzheimer’s disease (AD) and Parkinson’s disease (PD), as well as in the aging process. One of the hypotheses being tested is that there are unique protein markers for AD and PD in brain tissue, and that some of these markers have the potential to be detected in human cerebrospinal fluid (CSF) as biomarkers. The research team is comprised of several neuropathologists, i.e. Drs. Ellsworth Alvord, James Leverenz, and Thomas Montine. Another key member of the team is Dr. Elaine Peskind, a prominent AD researcher at the University of Washington who has established one of the largest CSF banks in the country. 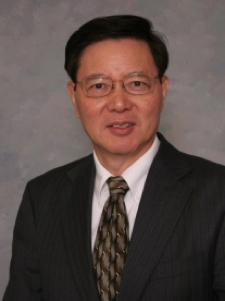 Finally, Dr. Zhang’s pursuit has been supported by a quite a few investigators from other institutions, including Dr. Joseph Jankovic at the Baylor College of Medicine in Houston, Drs. John Nutt, Kathleen Chung and Joseph Quinn at Oregon Health and Science University, Dr. Marla Gearing at Emory University in Atlanta, Dr. Christine Hulette at Duke University in Durham, Dr. Roger Albin at the University of Michigan, and more recently, Dr. Dennis Dickson at the Mayo Clinic in Jacksonville. Obtaining well characterized human brain and CSF samples from his collaborators is a very important, if not the most important, step towards the success of Dr. Zhang’s proteomics study. The work presented in the paper "Detection of Biomarkers with a Multiplex Quantitative Proteomic Platform in Cerebrospinal Fluid of Patients with Neurodegenerative Disorders" (JAD 9:293-348, 2006) was performed in Dr. Zhang’s lab with CSF collected at Baylor College of Medicine, Oregon Health and Science University, and the University of Washington in Seattle. This study compared the proteins in CSF from patients with AD, PD and dementia with Lewy bodies (DLB), along with healthy controls. To identify and evaluate these proteins, a quantitative proteomics technique called iTRAQ, a highly sensitive and specific method that relies on isotopic labeling of protein molecules was used, followed by a mass spectrometry analysis. This particular technique is a major improvement on other biomarker detection methods, and the subsequent results of this comparison enabled the researchers to identify and quantify more than 1,500 proteins in CSF samples, as well as to determine unique panels of biomarkers that distinguished AD, PD and DLB not only from controls, but also from each other. A key component to the research was that three different diseases were analyzed simultaneously along with normal controls, which helped to determine whether a particular protein response was related to a specific disease, and not just a neurodegenerative disease in general. These protein biomarkers, if validated, could be used clinically to assist the diagnosis of these major neurodegenerative disorders, monitoring their progression, as well as gauge therapeutic effects of existing and new pharmacological therapies. As new treatments for AD and PD are developed, the importance of early diagnosis grows. A diagnosis early in the course of the disease increases the likelihood of success from treatments that might slow disease progression, as well as helping patients and their families make plans for future care. P. Hemachandra Reddy was a commonwealth scholar (1990-1993) before receiving his Ph.D. (1994) from University College , London University . He did his postdoctoral training (1995-2000) with Dr. Danilo A. Tagle at the National Human Genome Research Institute, National Institutes of Health, Bethesda , MD. In his post-doctoral research, Dr. Reddy isolated and characterized cDNAs containing polymorphic polyglutamine (CAG)n repeats in the adult human brain cDNA library. In 1998, Dr. Reddy was the first researcher to develop a transgenic mouse model for Huntington's disease (HD) using full-length HD cDNA. This mouse model showed progressive phenotypic behavior and selective neurodegeneration in the striatum and cortex. After his postdoctoral training, Dr. Reddy joined the Neurological Sciences Institute Faculty at Oregon Health & Science University (OHSU) in July 2000 and established the OHSU Neurogenetics Laboratory. The research focus in the Reddy laboratory is on understanding molecular and cellular bases of neurodegenerative diseases. Currently, the Reddy laboratory is focusing on unraveling the connection between amyloid-β (Aβ) and synaptic damage, and Aβ and mitochondrial oxidative damage in Alzheimer's disease (AD).Dr. Reddy is studying synaptic pathology, mitochondrial oxidative damage, and the association of synaptic damage and mitochondrial dysfunction with cognitive decline in AD, using AD postmortem brain specimens, AD transgenic mouse models (Tg2576 mice, AβPP/PS1 mice, and AβPP/PS1/Tau mice), AβPP cell models, state-of-the art gene expression techniques, and molecular and biochemical methods. In addition to standard molecular and cell biology techniques, the Reddy laboratory has established quantitative real-time PCR technique in combination with Sybr-green chemistry, fluorescently labeled in situ hybridization and immunofluorescence analysis techniques. Dr. Reddy has successfully applied these techniques in numerous studies to determine differentially expressed mitochondrial genes, the cellular localization of mitochondrial mRNAs, and their association with mitochondrial dysfunction in AD patients and AD transgenic models. Recently, the Reddy laboratory demonstrated an association of Aβ with mitochondria in AD transgenic (Tg2576 mice) and mouse neuroblastoma (N2a) cells expressing human mutant AßPP. Further, Dr. Reddy and his colleagues have demonstrated that in Tg2576 mice, mitochondrial Aβ induces free radical production, decreases cytochrome c oxidase activity, and increases carbonyl proteins during disease development and progression. Members of the Reddy laboratory performed the research presented in the paper “ Differential loss of synaptic proteins in Alzheimer's disease: Implications for synaptic dysfunction” (JAD 7:103-117, 2005). Synaptic pathology is a prominent feature of AD and strongly correlates with cognitive impairments. Synaptic damage occurs early in AD development, suggesting that synaptic alterations are a primary event in the progression of AD. However, the underlying mechanisms of synaptic pathology in AD are not completely understood. The degree of cognitive decline in patients with AD has been correlated with changes in the presynaptic vesicle protein ‘synaptophysin' in the hippocampus and the associated cortices. However, it remains unclear how synaptic organization, including presynaptic, postsynaptic, and synaptic membrane proteins, is altered in AD patients. The main objective of the research awarded the prize was to determine whether presynaptic or postsynaptic compartments of neurons in AD patients are preferentially affected by disease. Using immunoblotting, immunocytochemistry, and densitometry techniques, Reddy and his colleagues investigated 3 presynaptic vesicle proteins (synaptophysin, synaptotagmin, and Rab 3A), 2 presynaptic membrane proteins (GAP 43 and synaptobrevin), and 2 postsynaptic proteins (neurogranin and synaptopodin) in a large number of postmortem brains from AD patients and age-matched control subjects. They found a selective loss of both presynaptic and post synaptic proteins in the postmortem brains from the AD patients relative to those from the age-matched control subjects. Of the 7 synaptic proteins studied, the presynaptic proteins synaptophysin and rab 3A, and the postsynaptic protein synaptopodin were the most down-regulated. In addition, this paper is the first to report on the loss of synaptopodin in the postmortem brains from AD patients – a finding that beckons further investigation of postsynaptic proteins in AD patients. Hideo Hara, M.D. and Takeshi Tabira, M.D., Ph.D.
Hideo Hara, M.D., graduated from the Faculty of Medicine, Kyushu University , Japan in 1983 and received a Ph.D. in 1990 from same university. While doing clinical work in the Department of Neurology at Kyushu University hospital, Dr. Hara developed an interest in neuroimmunology and investigated the T cell receptor repertoire of the CNS infiltrated lymphocytes of multiple sclerosis and HAM/TSP patients. 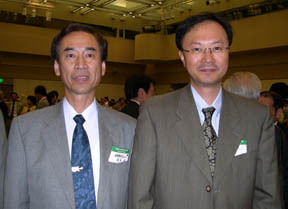 In 1999, Dr. Hara was appointed Section Chief of the Department of Demyelinating Diseases and Aging at the National Institute of Neuroscience, NCNP, Japan. Since that time, Drs. Hara and Tabira have worked to develop immunotherapy for Alzheimer's disease based on their knowledge of neuroimmunology. Takeshi Tabira, M.D., Ph.D., President of the 8th International Congress of Neuroimmunology in 2006, has been studying multiple sclerosis and other neuroimmunological diseases. He has also conducted numerous high profile studies in Alzheimer disease. Since he is an expert in neuroimmunology, it was natural for him to think of the oral vaccine. He knew that the gut immune system suppresses Th1 and enhances Th2 immune responses. The vaccine-mediated encephalomyelitis is thought to be mediated by Th1-type T cells so this route of treatment could diminish side effects. The work presented in the paper “Development of a safe oral Aβ vaccine using recombinant adeno-associated virus vector for Alzheimer's disease” (JAD 6: 483-488, 2004) was performed by Dr. H. Hara at the National Institute for Longevity Sciences, NCGG, Aichi, Japan. The paper presents a new oral vaccine treatment for Alzheimer's disease using adeno-associated virus (AAV) vector carrying Aβ cDNA. The treatment is quite effective for ameliorating Alzheimer's disease pathology in mice. Immunotherapy is still a promising therapeutic approach for Alzheimer's disease regardless of the reported side effects of the phase IIa trial of AN1792(QS-21). This new oral vaccine does not induce strong Th1 T cell immune reactions, and hence it could reduce the side effects of such meningoencephalitis. Dr. Binder received his Ph.D. from Yale University in Biology in 1978 where he worked on microtubule polarity demonstrating that these organelles added subunits from one end more readily than the other. This work represented some of the first papers on microtubule polarity. As a postdoctoral fellow at the University of Virginia, he turned his attention to the neuronal cytoskeleton, publishing the first papers on the subcellular localization of the microtubule-associated protein tau using the first monoclonal antibodies to tau (Tau-1, Tau-2, and Tau-5). This work led to independent collaborations with the Iqbal and Wood laboratories; these studies established Alzheimer disease neurofibrillary tangles as inclusions containing abnormally phosphorylated tau. Since that time, work from the Binder laboratory has focused on the formation of tau filaments, in vitro and neurofibrillary tangle "evolution" in situ during the course of Alzheimer disease. The work presented in the paper "Conformational changes and truncation of tau protein during tangle evolution in Alzheimer's disease" (JAD 5:65-77, 2003) was performed by a postdoctoral fellow in Dr. Binder's laboratory, Francisco Garcia-Sierra. Its main findings document seemingly linear alterations in NFTs that can be identified by two antibodies to different folded states of tau: Alz50 and Tau-66. The paper presents evidence indicating that the NFTs reactive with Alz50 predate Tau-66-postive tangles. These and other data strongly suggest a refolding of the tau molecule while in the polymeric inclusions during the course of Alzheimer disease that appear associated with both amino and carboxy truncation of tau. Massimo Tabaton, M.D., is Professor of Neurology at the University of Genoa, Italy, where he directs a research group involved in studies of various aspects of Alzheimer's disease. In the early 1990s, Dr. Tabaton was the first to identify the molecular components of soluble amyloid-β (Aβ), an early, toxic, and diffusible oligomer, in the brain. Later on, he further characterized the type, binding, and accumulation of soluble Aβ in several pathologic conditions. Another focus of Dr. Tabaton's studies is the amyloidogenic processing of amyloid-β protein precursor (AβPP) following oxidative stress and other pro-apoptotic agents. He first described the overproduction of Aβ in neurons undergoing apoptosis and then identified the cellular mechanisms that underlie this event. His work has led to over 90 peer-reviewed publications in leading journals. This work published in the Journal of Alzheimer's Disease clarified an event that was previously revealed by Dr. Tabaton's group, i.e., the amyloidogenic processing of AβPP in the course of apoptosis. Indeed, it is known that Aβ can cause neuronal apoptosis, which, in turn, further fosters Aβ production. This toxic loop may be a critical event of AD pathogenesis. The present study published in JAD showed that apoptosis increases the intracellular content of Aβ, which accumulates in the endoplasmic reticulum, the site of production of the more toxic Aβ42 species. Moreover, this work demonstrated that the caspase cleavage in the C-terminus of AβPP, previously indicated as the key event of Aβ overproduction, is not associated with the increased Aβ production. Thomas Wisniewski, M.D., is currently Associate Professor of Neurology, Pathology and Psychiatry at New York University School of Medicine. After graduating from King's College School of Medicine (London), he did a Neurology Residency at New York University and a Neuropathology Residency at Columbia-Presbyterian Hospital, where he was Chief Resident of Neurology and Pathology, respectively. Dr. Wisniewski is Board Certified in both Neurology and Neuropathology. Following his residencies, Dr. Wisniewski did post doctoral training in the laboratory of Prof. Blas Frangione at NYU. Soon after Dr. Wisniewski became the PI of the Neurodegenerative Conformational Disorders Laboratory at NYU, which focused on understanding the mechanisms which drive amyloid deposition in Alzheimer's disease and in other neurodegenerative conditions. Work at the laboratory has lead to over 100 peer-reviewed publications. The aim of his work has been to direct this greater understanding toward therapeutic interventions. Key discoveries have included discovering the role of apolipoprotein E in driving amyloid deposition in late-onset AD. 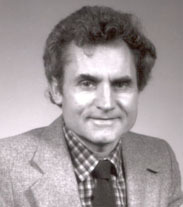 Dr. Wisniewski coined the term "pathological chaperone" to denote the role of apoE, prior to the discovery of the linkage of apoE4 to late-onset AD. Dr. Wisniewski's laboratory has also biochemically characterized the interactions between apoE and amyloid β. More recently, Dr. Wisniewski has been developing strategies for the removal of amyloid both in AD using non-toxic, highly immunogenic proteins as "vaccines". This approach has been shown to be efficacious in both animal models of AD and prion disease. This approach is likely to be superior to the methodologies used by Schenk and the Elan group in their recent ill fated clinical trial. Dr. Wisniewski and his group predicted that amyloid β toxicity will be a problem in this trial and his vaccine approach is aimed at avoiding these potential safety concerns. He has also been working at using the novel "vaccination" approach for a broader list of neurodegenerative diseases, which are called "conformational disease". His recent work has shown that this approach works in the animal models of prion disease. Luciano D'Adamio, M.D., Ph.D., is currently a Professor of Immunology at Albert Einstein College of Medicine in New York. After graduating from medical school in Perugia (Italy), he started his PhD program at the University "La Sapienza" (Rome, Italy). Most of his PhD work was done as a collaboration project at the Dana-Farber Cancer Institute, Harvard Medical School (Boston, USA). At Dana-Faber Luciano, under the supervision of Dr. Ellis L. Reinherz, demonstrated that autoreactive T cells during thymic development are eliminated by an apoptotic mechanism. Soon after Luciano became a principal investigator in the Laboratory of Cellular and Molecular Immunology, National Institute of Allergy & Infectious Diseases, NIH (Bethesda, USA). At the NIH he developed a functional selection system to identify genes regulating apoptosis in T cells. One of the genes isolated by him and his collaborators encodes for a fragment of the Familial Alzheimer's Disease (FAD) gene Presenilin-2 (PS2). Luciano showed that this PS-2 fragment could inhibit apoptotic responses to stimulation of membrane death receptors such as Fas and TNFRI. Subsequently, Luciano's team proved that PS2 is required for apoptosis and that PS2 FAD mutants have enhanced pro-apoptotic activity. Some FAD cases are linked to mutations in genes encoding presenilin1 (PS1) and presenilin-2 (PS2), both proteins required for gamma-secretase activity and therefore involved in the processing of AβPP, the third FAD gene known to date. Luciano is continuing his study on the biology of Presenilins and AβPP as an Irene Diamond Associate Professor of Immunology in the Department of Microbiology and Immunology, Albert Einstein College of Medicine (NY, USA) with his own research group. Luciano's main contribution in the apoptosis field lays in the observation that genes implicated in AD can regulate programmed cell death (PCD). These observations suggested a possible key role of apoptosis in the generation of AD. 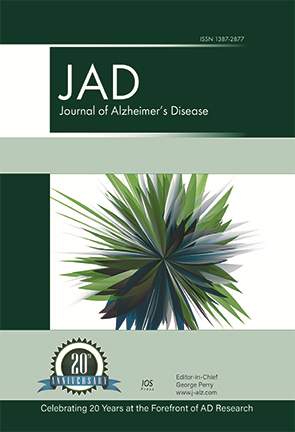 In his JAD paper "Generation of an Apoptotic Intracellular Peptide by gamma-secretase Cleavage of Alzheimer's Amyloid β Protein Precursor" he clearly demonstrates that an "Apoptotic Theory" can be considered to greatly contribute to the disease and can further explain the classical "Amyloid Theory". In fact, while the general believe of the cause of AD is a deposition of the amyloidogenic form of Aβ peptide, Luciano showed that the γ-secretase cleavage of AβPP releases, together with the Aβ peptide, also a C-terminal intracellular domain that he called AID. AID is able to induce apoptosis in different cell lines. Identifying AID-like peptide in brain tissues of AD patients and demonstrating that AID acts as a positive regulator of apoptosis, he was able to provide for the first time an alternative explanation for the pathogenesis of AD. Increased steady-state levels of AID in AD cases may initially cause biochemical alteration and neuronal disfunction. Prolonged alterations in neuronal metabolism may progressively lead to neuronal degeneration and death. The general unifying concept between the two theories is that AßPP processing by gamma-secretase generates peptides that regulate PCD. 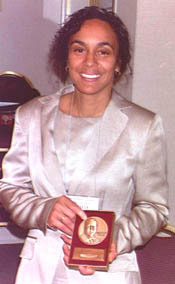 Suzanne de la Monte, M.D., M.P.H. Suzanne M. de la Monte, M.D., M.P.H, received her AB from Cornell University and MD from Cornell University Medical College. After graduating from medical school, she worked as a research staff fellow at the NIH for 2 years, and then started a residency in Pathology at the Johns Hopkins Medical Institutions. During her 4th year of residency training, she simultaneously completed a masters degree in public health with concentration in international health and tropical medicine. Dr. de la Monte then went to the Massachusetts General Hospital to obtain 2 years of subspecialty training in neuropathology where she was principally mentored by the late E. P. Richardson, Jr., M.D. Dr. de la Monte's research in Alzheimer's disease began with her Alzheimer's disease research center (ADRC) fellowship. Her initial studies led to the characterization of patterns of cerebral atrophy in several neurodegenerative diseases, including Alzheimer's disease. However, during her fellowship, she established the MGH-ADRC brain bank and set up a system of cataloging the cases with particular attention toward future retrieval of unexpected correlative data. This proved to be critical to the execution of the study for which she was awarded the Alzheimer Medal. Very quickly after beginning her research in AD, she developed a keen interest in the molecular and cellular mechanisms of cell loss and sprouting, and decided to pursue basic science research to understand disease assuming no prior bias, and just approaching the problem in ways that are done for any other system. This approach led to the characterization of pancreatic thread protein expression in brains with Alzheimer's disease, the discovery of a novel family of genes termed neuronal thread proteins, two of which are aberrantly expressed early in the course of AD, and more recently, the role of free radical injury, ischemia, and nitric oxide as factors contributing to the progression of AD neurodegeneration. Her hypothesis is that the protean clinical and pathological features of AD are largely due to co-existent injury caused by any number of variables including cerebrovascular disease, hypoxic/ischemic injury, free radical injury, and ethanol neurotoxicity. After having spent approximately 13 years at the MGH as a clinical and molecular neuropathologist, Dr. de la Monte joined her research team at Brown University School of Medicine and the Rhode Island Hospital and has been there for approximately 1 year. Stemming from her observation that the pathology of AD was quite heterogeneous, Dr. de la Monte embarked upon a clinicopathological correlative research project to investigate the potential role of cerebrovascular injury as a contributing factor in the development of clinical AD. With the knowledge gained from earning a MPH degree, combined with the well-organized and computerized MGF-ADRC database, Dr. de la Monte was in an excellent position to direct this important project, largely with the assistance of medical students. The study was designed to re-examine the brains of patients with clinical AD who at post-mortem exam had either classical AD or AD+small infarcts or ischemic lesions (AD+CVA). The question was whether the severity of classical AD lesions was less in individuals with AD+CVA relative to those with AD only. The hypothesis was that since cerebrovascular injury causes tissue damage and cell loss, the additive effects of two moderate disease processes could render patients as demented as with severe AD. That hypothesis proved to be correct. The study published by Dr. de la Monte's group, "Cerebrovascular pathology contributes to the heterogeneity of Alzheimer's disease"; Authors: D. Etiene, J. Kraft, N. Ganju, T. Gomez-Isla, B. Hyman, E.T. Hedley-Whyte, J.R. Wands and S. M. de la Monte, demonstrated that AD+CVA accounted for up to 30% of the clinically diagnosed cases of AD in the MGH-ADRC brain bank. Quantitative assessments of AD pathology revealed that brains with AD+CVA had significantly lower densities of neurofibrillary tangles and neuritic plaques, and significantly reduced densities of Aß-amyloid-immunreactive plaques. A completely unexpected finding was that many of the cerebrovascular lesions were distributed in the same structures that are typically damaged by AD neurodegeneration. This could explain why patients who had AD only could not be clinically distinguished from those who had AD+CVA. The authors concluded that cerebrovascular lesions in regions typically destroyed by AD could contribute to the clinical manifestations of AD. The importance of this work is that it provides evidence that environmental and systemic disease processes can regulate the time of onset and progression of clinical AD, and therefore, AD neurodegeneration may be delayed or prevented in a subset of patients by protecting the brain from this type of injury.